Strap is molded of black poly material that mounts on the gunnel and stretches to hook to a loop mounted on the deck. 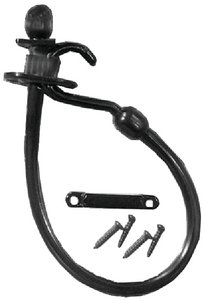 Installs very easily in a 3/4″ diameter hole with the black stainless steel screws that are included. Strap retracts into the gunnel when not in use.